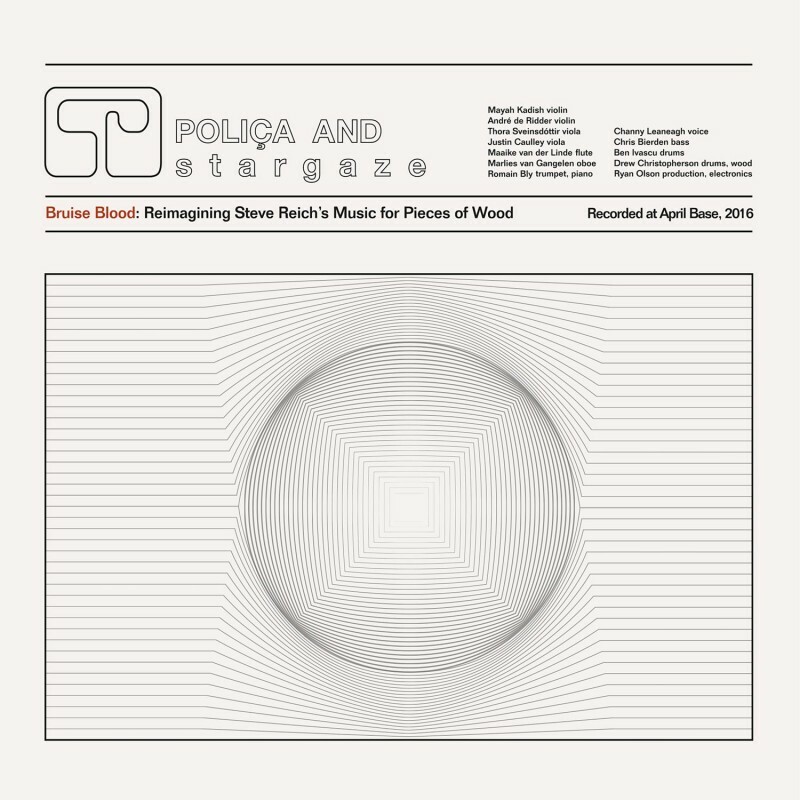 For a while now s t a r g a z e and POLIÇA have been working in collaboration, and the first part of that, a 'reimagining' of Steve Reich's 1973 composition Music For Pieces Of Wood, is now available as an etched, one-sided 12", as well as digitally. Find the 12" in our shop, or stream it online. s t a r g a z e is an ever-evolving project, a Berlin based chamber orchestra, marrying modern composition with alternative attitudes and sounds. We started working with André de Ridder, co-founder of the orchestra, in 2015 on his arrangement of Terry Riley’s In C Mali with Africa Express. The first official s t a r g a z e release on Transgressive - a pioneering re-interpretation of the music of the alternative experimentalists Deerhoof, Deerhoof Chamber Variations - followed that same year. POLIÇA have themselves blazed a trail with their three albums of dark, personally political pop. The piece received its first live performance by s t a r g a z e and POLIÇA at Eaux Claires Festival on 16 June. Stay tuned for more details of the second part of their collaboration, which we'll be releasing in September.